Dear friends! We are glad to present you the newest Handy Backup 7.11, containing the completely renewed Email plug-in for email backup via the IMAP protocol! This new version of the plug-in fully automates even more operations than before, and also allows tuning up many flexible settings, providing complete compatibility with even more mail services than before and bringing an extra level of security and comfort for users who interested in automatic email backup and restore. In practice, the renewed Email plug-in supports any existing web mail server. 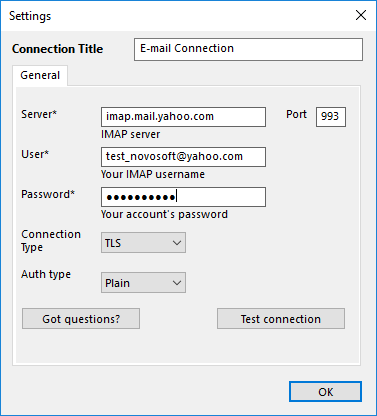 It contains an advanced configuration dialog, allowing creating a connection with a possibility to select any necessary option for connecting a particular mail server. It uses the IMAP protocol and stores messages separately in the native, comprehensible .EML format, which is openable by any text editor or local email client. Such unification allows making transfers between different accounts or even between different email services. That can help users migrating to another mail service or mirroring an existing account. In addition, saving messages to some data storage opens a way to automate processing these messages, for analyzing, searching and extracting some information for the needs of a user. Learm more about Email Backup Software.